Do you need some kind of chief computing/tech person or is that included in the engineers job? Thanks Tracian. And it will start when we get enough people because we need enough people to be able to interact with each other. The Blazing Aura wrote: Do you need some kind of chief computing/tech person or is that included in the engineers job? I would think that would be part of the engineers job since it isn't just maintenance of the ship and machines on the ship. Awesome, just thought I'd check. Also would someone having cybernetic implants be OK? Last edited by The Blazing Aura on Wed Dec 30, 2015 2:47 pm, edited 1 time in total. Though a chief tech person would probably fall under stuff like fixing things. Though now that I think about it why not make it that the Chief Engineer also helps with development of machines, so trying to make better fighters, better tech for the ship, new weapons etc. Though something would probably have to be done with the Chief Research Officer (the Chief Research Officer is pretty much a scientist in this case). This is futuristic enough for that so go right ahead, just make it reasonable. Why didn't I think of that? I will get to adding it. Last edited by Elysian Kentarchy on Wed Dec 30, 2015 2:52 pm, edited 1 time in total. I decided to make another character, aka the Captains sister referenced in his app. Appearance: Similar in appearance to her elder brother the Captain, with brown hair and brown eyes but the hair is long and she is slim, and she is wearing this Height of 5'9. Position on Ship: None of note but since the ship Councilor hasn't awoken yet she has taken up that role thanks to her personality. Activities during spare time: Well when she isn't with her brother or speaking to a crew member she will most likely be in prayer at the Chapel. 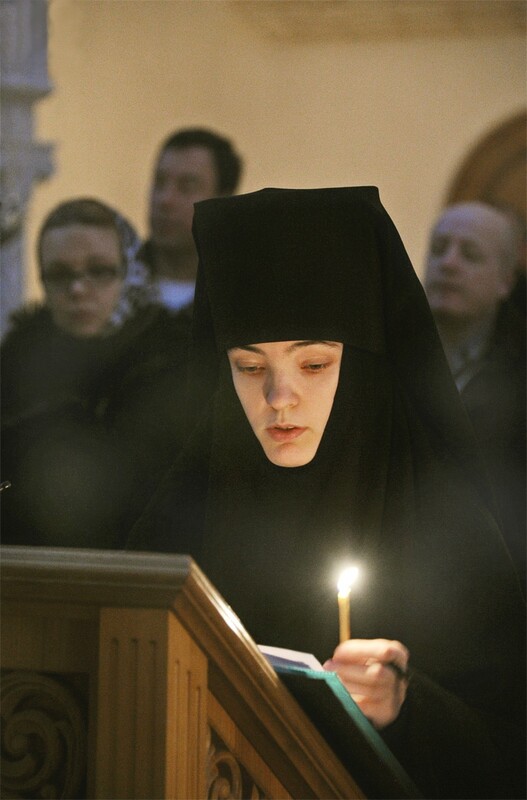 Bio: The younger sister of the Captain and a nun of the Russian Orthodox Church. Born into an age of war all she has known throughout her life is war and the desperation humanity had as they fought. With the breakdown of things and the fact that the Church still provided services and were looking for more people she quietly joined a nunnery at the age of seventeen but it is unknown if she ever took her vows due to the circumstances and she is largely quiet about them. Despite the destruction caused by the war she has maintained a strong faith and hope for humanity. She was selected and put on board the ship for reasons unknown besides the fact that she was in the know about the project thanks to her relation to the Captain. It is partially suspected by the Captain that the main reason she was sent along was due to the fact that she is a stabilizing and motivating factor for him. Her reasons for becoming a nun are something that she hasn't divulged to anyone including her brother but to summarize it is because she wanted to separate herself from certain feelings she felt was improper and that no normal person should have. She hasn't spoken to her brother in nearly three years before the sleep, in fact the last time they spoke was when she had joined a nunnery. Her faith and her trust in her brother is without question despite everything. Non-combat Special Traits: Artist and Singer. Last edited by Elysian Kentarchy on Wed Dec 30, 2015 4:12 pm, edited 1 time in total. Appearance: Standing around five foot seven, with brown hair normally worn in a short ponytail, Lanya has had a number of cybernetic implants and replacements through her life, including both her eyes have been replaced by cybernetic implants (both look like the one in this picture). She has also has a cybernetic right arm from below the elbow. When working she normally dresses in something similar to this (ignoring the stuff on the right of the picture and the little robots). Personality: Relatively friendly and willing to hear people out, although don't try to interrupt her when she's working on a job, you may think you're being listened to but chances are she's not. An optimist who loves to throw herself into her work, Lanya tries not to stop and think for fear her past will haunt her. Bit of an extrovert and a flirt. Activities during spare time: What's spare time? There's always something to build/repair/improve. Likes Coding and Programming stuff that isn't part of her job, and will often have a couple of projects on the go that she'll play around with whenever she has a couple of minutes. Bio: Born to a relatively rich family at birth, Lanya had her first cybernetic implants when she was young, when her parents found out that she had nearsightedness they immediately paid for her to have both eyes replaced with cybernetic ones. Growing up with them, to the point she does not know the original colour of her eyes, Lanya thinks of them as just another part of her, although sometimes she will have an itch where her eyes were beneath the cybernetics. Growing up relatively normally besides that, Lanya remembers the first colonization attempts by humanity, a side effect of her cybernetic eyes being that whilst she doesn't have a photographic memory her implants do have the ability to take pictures that are stored in her mind forever, for better or worse. Going through school and college Lanya was interested in engineering, a topic she picked up at University, advancing to do a Masters in it, whilst she also did a Foundation in Programming. After University, she joined the military, a choice that would soon cost her her right arm after the military base she was working on was bombed and destroyed by the enemy, trapping her partially underneath a huge pile of rubble. Rescued from the base when the military took it back, Lanya decided to have her severly damaged right arm replaced below the elbow with a cybernetic one. Whilst recovering and getting used to a new hand and arm Lanya was picked to be placed aboard the Comperior as the military could spare few people as they tried to valiantly hold off the enemy, and Lanya was by no means ready to head out near the fighting (and after the bombing run was prone to being physically sick on the sight of a dead body). Chosen to be Assistant-Chief Engineer, Lanya started to read up on all the things she thought she'd need to know about the ship. Now that she is awake again Lanya has taken on the role of Chief Engineer as the guy who was meant to have the role died in his sleep when the enemy attacked the Comperior due to power failures. Putting all her skills and knowledge to use, Lanya continues to try and keep the Comperior working at full capacity whilst also trying to engineer it so that it can sustain the growing number of people awakening on it. Combat Special Traits: Running away, Could theoretically pilot a fighter, never tried it in practice though. I did actually consider having a shooting range set up but since the ship is as it is I decided to rule it out. How about IC you ask the Captain about setting up one? It makes sense for one to be set up after what happened. As for a barracks if you can justify it being there and why security can't use the common crew rooms I will agree to it. in a barracks you can have weapons in easy access without having the regular crew also able to get to it. allows for easier preparation in case of an attack or mutiny the crew doesn't have access to all the weapons in the ship. i would like to ask for a roll of co op if thats alright? The crew doesn't have access to all the weapons anyway since they are under lock and key. Besides the ship isn't under martial law or anything like that, there will be rationing of course, so people are free to do what they want. Though I have been expanding various security details that I will add in another post to see if it meets things. New Strausberg wrote: i would like to ask for a roll of co op if thats alright? Well I trust you enough to know you won't go overboard or anything like that. So okay. Just nothing too radical or hijacking this RP please. I like to keep some semblance of stability and control so nothing like a mutiny, coup, martial law, general chaos or anything like that. We are not descending into tribes or anything like that. Sure this is about survival but it is also about trying to live a normal life on this ship and advancing humanity as we search for a home. Hence the use of the words "slice of life" in the description people are to also live normal lives. Plus as OP and Captain I overrule anything Coops say. Sorry just being paranoid. Last edited by Elysian Kentarchy on Wed Dec 30, 2015 4:09 pm, edited 2 times in total. Oh that. Of course you can. That much is a given at least for me. Interest is great, and I see potential for a cool job that makes sense. Personality: Mostly upbeat and personable Kerian detests people who prey on those under his watch or by his side, preferring to get back at them in ways which nobody but he and the affected are the wiser to. Bio: Kerian attained a masters in structural engineering very early in life, quickly becoming a combat engineer specializing in fortification and repair, earning a reputation for erecting defenses that lasted for a while extremely quickly. Taking up electrical engineering and chemical engineering as he progressed in life, and even old school traditional smithing to help preserve culture, Kerian was volunteered by his family as of of the last people to be able to smith many traditional weapons and because of his skills at erecting fortifications, he didn't object. Feel free to yell or berate me via tg or here if you've any problems, I just hope there wont be any and this is still alive because it looks pretty cool. Kerzacistan wrote: Interest is great, and I see potential for a cool job that makes sense. So kinda like a combat engineer sort of thing? Exactly my sentiments, ya think its good? Ely, had any thoughts for the Alpha Centauri that we're gonna conquer?